Sick of high prices at the pump? Well, those prices should keep coming down. 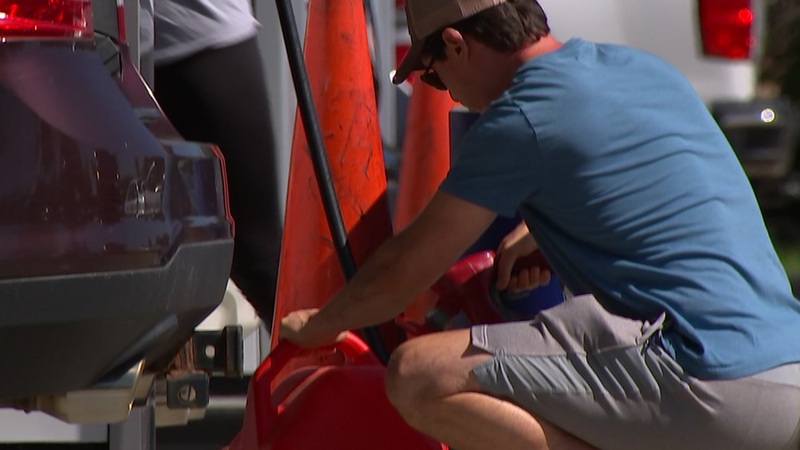 NORTH CAROLINA (WTVD) -- The pain at the gas pump is lessening. We're paying five cents a gallon less than a week ago, and 12 cents less than a month ago. AAA Carolinas said prices are, in fact, the lowest they've been since April. North Carolinians are seeing an average price of $2.62 at the pumps. Nationally, the number is $2.76, the cheapest in six months. The auto club said the price drop comes at a time many analysts previously thought we would likely see pump price increases due to the White House's reimposition of sanctions on Iran. In May, however, when the decision was announced (to take effect in November), the market reacted quickly with crude oil prices spiking over the summer. "With the market anticipating and thus reacting to the impending Iran sanctions throughout the summer months," said AAA Carolinas spokesperson Tiffany Wright, "motorists likely have seen the worst in terms of retail prices for the year. If the crude oil market remains steady, gas prices are likely to continue to fall in the near future." The North Carolina Attorney General's Office is looking into hundreds of price gouging complaints filed before, during and after Hurricane Florence. The price gouging law is still in effect, and many of those complaints filed involved alleged price gouging.